Popular hairstyles, much like viral videos, are fleeting. One day your Instagram feed might be full of pixie pink waves and the next it's all about the aquatic hues. And sure, you can try to keep up. The world is your oh-so photogenic oyster, after all. But why keep your hairstylist busy and rolling in dough when you can keep most of that said dough and spend the rest on an awesome wig collection. There's no reason your hair can't be included in your color coordinated outfit. You stay on top of the viral videos and memes why shouldn't your locks live up to your expectations? Whether you're going for a witchy rave look or you want your head to scream, "Pride is gonna be classy this year!" 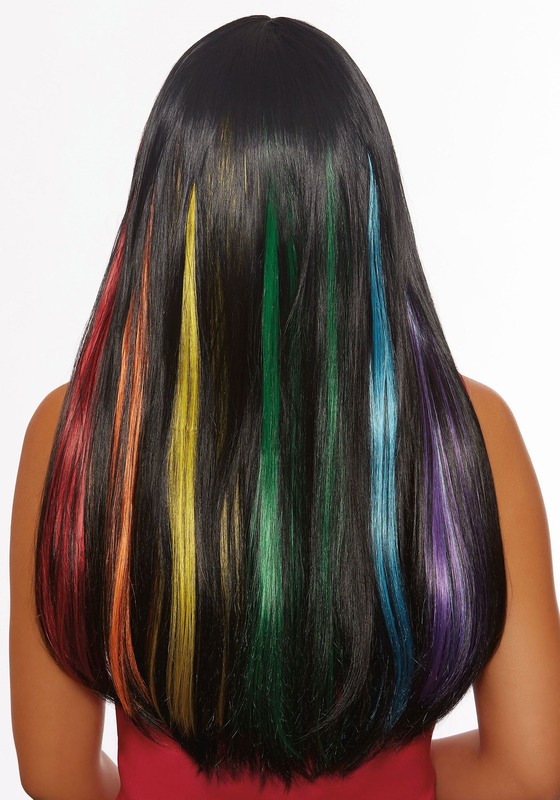 this look combines smooth black locks with hidden flashes of rainbow color. The long wig hangs past your shoulders, begging the wearer to play with different hairstyles like braiding to show off the different colors. There's no reason to settle on one color or scheme. You deserve every hue you could wish for. 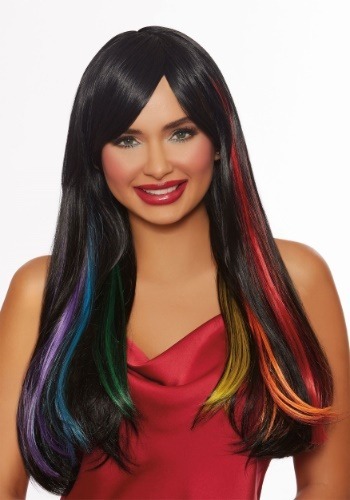 So throw on these black locks and watch as any event seems to get a little brighter. When you're wearing a hidden rainbow on your head, things tend to get a little interesting.